Choosing the right personal training program can be a confusing and frustrating experience. How do you know you're in the right hands? Unless your personal trainer has the specialized education and uses medically proven strategies, you may be in for some unpleasant surprises. Preventous kinesiologist Kavan Allison outlines the importance of strength training and conditioning. As a medical facility, we take personal training seriously. Personal training must be customized to your specific needs, lifestyle and the capabilities and limitations of your body. Our personal trainers are highly qualified to prescribe a personal training program that is not only effective, but safe. As part of a collaborative medical facility, our trainers consult with our physicians and registered dietitian to ensure your training isn’t compromising your health. 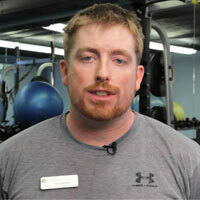 Read our personal trainers’ bios. Kinesiology is the multidisciplinary science of human movement and how it affects individuals’ health and performance. Kinesiologists study anatomy, physiology, biomechanics, psychomotor behavior, and sociological factors, all of which contribute to your fitness and health. A kinesiology graduate is educated and prepared to focus on the impact that lifestyle and exercise have on your body. Read more about Kinesiologists. CSEP (the Canadian Society for Exercise Physiology, accredits professionals who acquire the highest level of expertise and standards in kinesiology. A CSEP-CPT requires at least 2 years of accredited post-secondary education along with internal training in specific core competencies, including: exercise testing, prescription and design, motivational strategies, documentation and professionalism. Still not sure we’re the right choice? We’ll make it easy for you to decide. 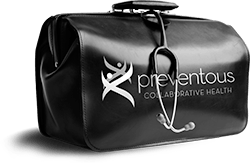 You’ll discover why Preventous is the right choice for personal training in Calgary.